SQLConnection use to be only available in the business edition or higher. 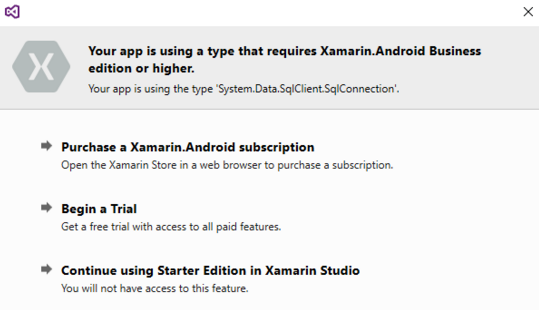 Since Microsoft purchased Xamarin I do not know if these classes are included. Personally I think it is better to have a service for getting data from and saving to a database then to directly access it from the app and have my SQL server connection info out on some phones.